Windows 10’s blatant bid to woo back PC power users already looks pretty damned appealing, despite being in a very early state. But Microsoft’s still holding a trump card up its sleeve that's virtually guaranteed to make PC gamers sit up and notice its next-gen operating system. As expected, Microsoft has announced that the final version of its supercharged DirectX 12 graphics API will ship with Windows 10 in 2015. The story behind the story: Windows 8’s lackluster adoption is no secret, but Microsoft’s actually fighting two battles on the PC front: Beyond its need to drive happy Windows 7 and XP users to newer versions of the OS, DirectX’s gaming supremacy is being challenged by AMD’s Mantle technology. Releasing DirectX 12 with Windows 10 counters both threats and gives PC gamers—a bastion for Windows—a compelling reason to upgrade to Windows 10 when it becomes available. The story behind DirectX 12’s announcement and its intriguing enhancements is a long one indeed—and the API may not even exist if not for AMD raising a ruckus. 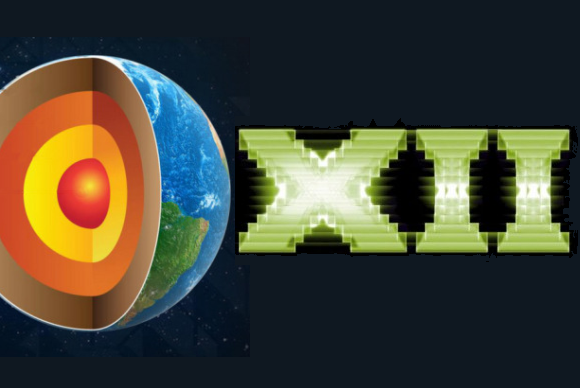 The DirectX 11 graphics API launched alongside Windows 7 in 2009 and quickly became a gold standard in the gaming world, as it helps guarantee that PC games will run on the wide world of varied PC configurations in the wild. But Microsoft has only released minor updates to DirectX 11 in the five years since its launch, focusing instead on its Xbox consoles. AMD seized the opportunity offered by Microsoft’s complacency (and AMD’s foothold in the PlayStation 4 and Xbox One) to release Mantle, a competing graphics API that allows game developers “closer to the metal” hardware access. In the end, that means performance gains for you at home if you’re running an AMD 7000-series or higher graphics card. In the lead-up to Mantle’s launch, AMD officials wondered aloud if DirectX 12 would ever be a thing. Poking the bear woke it up. Microsoft announced DirectX 12 shortly thereafter. DirectX 12 mirrors Mantle in many ways, promising developers “closer to the metal” access that improves performance mostly by reducing CPU bottlenecks. If it behaves similarly to Mantle, those performance gains will be most dramatic in CPU-bound systems whose processors aren’t as potent as their graphics capabilities. PCs running modern processors should also see a boost in performance, as both AMD and Intel have been striving to improve their integrated graphics chops in recent years to offset slowing gains in CPU performance. But DirectX 12 holds a key advantage over Mantle: Its performance tweaks will work on all hardware, not just AMD hardware. We’ve broken down the differences between the competing graphics APIs if you’re curious. A gift or a bludgeon? 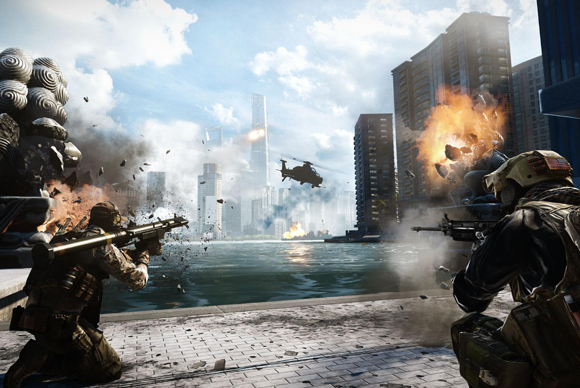 EA's blockbuster Battlefield 4 was one of the first titles to support AMD's Mantle API. The biggest question about DirectX 12 has nothing to do with its technical details, however—it’s whether Microsoft will make the API available on existing operating systems. Microsoft locked the most recent point upgrades for DirectX 11 to Windows 8 machines alone in a bid to spur adoption, and restricting DirectX 12 to Windows 10 would give PC gamers grumpy about Windows 8 a clear and compelling reason to upgrade. Microsoft hasn’t said one way or the other, but I’d be shocked if it didn’t make DirectX 12 a Windows 10 exclusive. I hope I'm proved wrong though. DirectX 12 isn't currently in the Windows 10 Technical Preview, but developers (and only developers) can sign up for the DirectX 12 Early Access program for an early look at the API—and yes, the provided bits will work with the Tech Preview.